Good news! 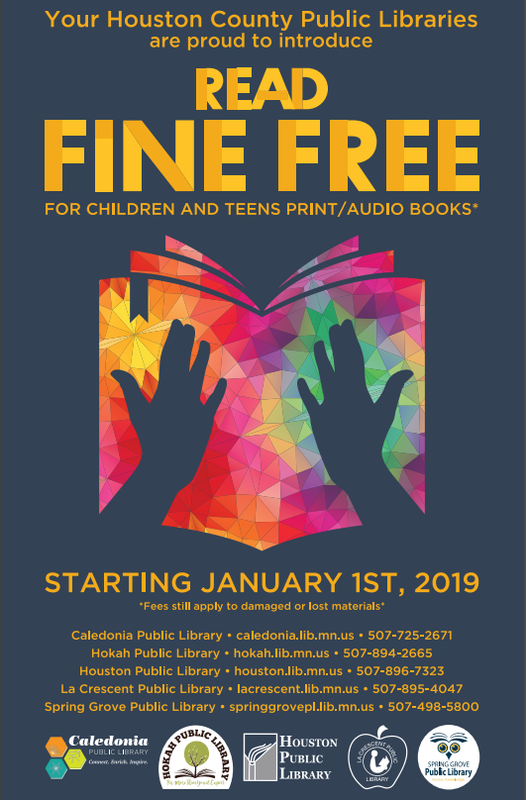 As of January 1st, all five of the Houston County Public Libraries eliminated fines on overdue children’s books and audio-books! (Fees will still apply to kid’s DVDs, adult materials, and lost or damaged materials.) We hope to encourage a love of reading without fear of fines! Have questions? Ask them below or give us a call!